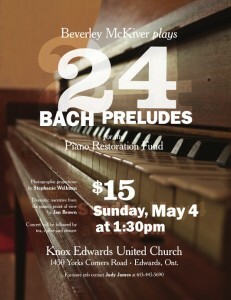 Knox is hosting a special event on Sun., May 4 at 1:30 pm. 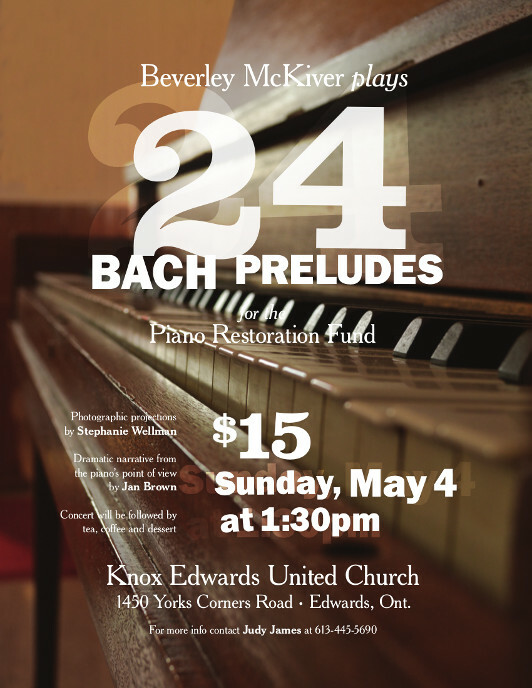 Our own Beverley McKiver will be playing 24 Bach Preludes for the Piano Restoration Fund. Photographic projections by Stephanie Wellman. Dramatic narrative by Jan Brown. The concert will be followed by tea, coffee and dessert. Tickets are $15. All are welcome to attend!